Elkagorasa the Casual: November Means Normals, Healing, Oh and BlizzCon. November Means Normals, Healing, Oh and BlizzCon. November has been a fun month for me. Let me start off this post with this. These peculiar stretch pants are available in both male and female sizes, horde and alliance. Yes, it looks like you have two skeletal gnomes in your pants, trying to climb out, or maybe they're simply groping your legs and got stuck in the bandages. This has to be extremely uncomfortable for your toon to wear, especially while sitting down. That permanent scowl on my orc's face? Yeah, now you know why..
Where you ask? Well, Elkagorasa was invited to a Normal HFC raid. This group raids regularly Sunday nights (local time) at a reasonable hour! You know that ideal 8PM - Midnight PST. See my oldest daughter plays rec. soccer. Her team had a scrimmage the other night with a similar aged boys team. One of the boys on the opposing team happened to be a boy she went to school with back in Kindergarten (9y ago). His dad still plays WoW. Overall, that first HFC run netted Elkagorasa 2 direct upgrades and the nice stretch pants of doom for an affliction set. Some HFC LFR vs Normal boss differences. 1) During the first 'boss', Hellfire Assault, the bombs will do a electrical stun that makes your toon jitter and bob erratically. 2) Kormrok casts little foot rocks that slide into the goo. You must DPS them down before you reach the goo..
3) High Council, Dia's reap actually drops a giant glyph on the ground that must be avoided. BlizzCon. I didn't go. I didn't watch the virtual ticket. I watched the opening speech, but that's it. Sunday afterwards, I read through WoWhead's summary of the proceedings. So far, I am trying not to get excited about the next expansion; it's a good 10 months away from "Summer 2016". 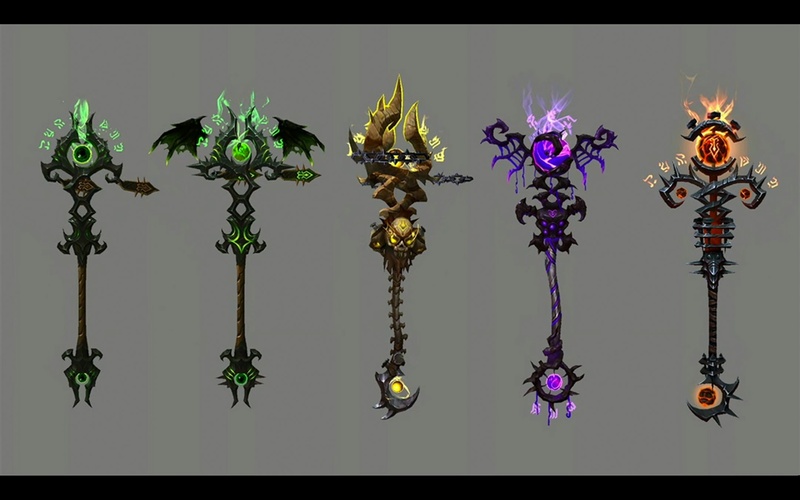 As we saw with WoD, nothing at Blizzcon is set-in-stone. I am torn about the artifact weapon idea. Yeah!, we all get something with a bunch of lore attached to it. But, like 'farming a boss', it's a bit odd that we ALL get some amazing weapon with the same bunch of lore attached to it. 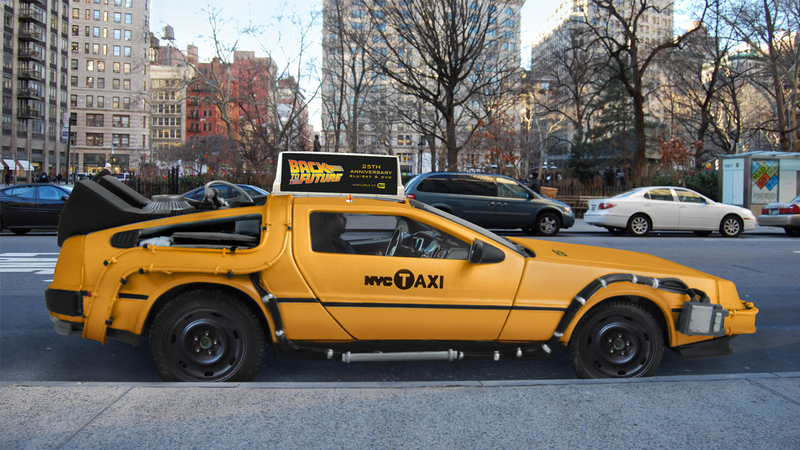 One time-traveling Delorean is amazing. Everyone driving a time machine makes it commonplace, might as well give us all a Prius and let us xmog it to whatever we want. Sorry, you won't be able to xmog this weapon. I still haven't pre-ordered it yet. I will. I am rather enamored with the felstalker. Here I am with with my felhunter pet, riding my felstalker, and if I could only get that darn fel-staff.. :) What more could a warlock want? Riding my BIG fel-puppy; been feeding him well. So, I've started thinking about the next character boost. Am I seriously considering a 4th level 100? Maybe. My alliance druid is rather lonely, so I was considering maybe boosting another hybrid, paladin specifically. On the other hand, I was thinking a dwarf hunter could be interesting. 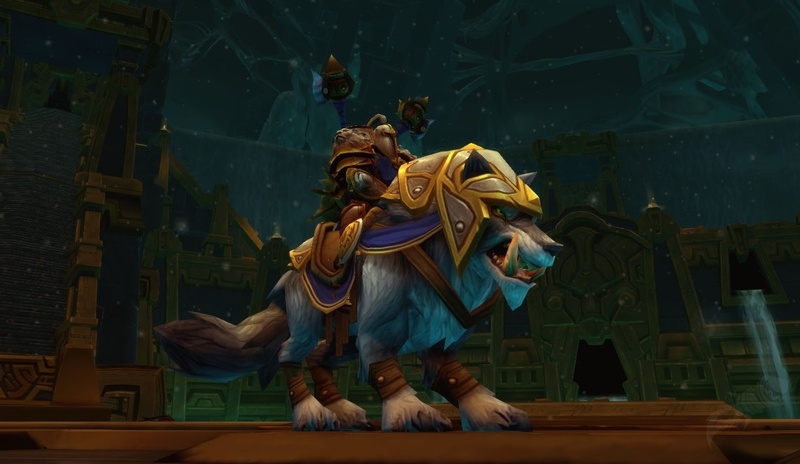 Get me a big bear pet and look like the guy in the cinematic. My priest is working on her legendary. So far, she has about 30 of the abrogator stones for the first quest item. The hardest thing so far has been the 'kill Kairoz' scenario. As the 'healer' I had a really difficult time keeping all three alive. Mostly because I am well attuned to using Vudhu as my healing bar, and healing three npcs isn't an option. To fix this, I created three macros, and put them on my button bar. This helped immensely as I could simply click a button to heal each. Then, I could throw a penance or power word: shield. Phase 1 stand on top of Khadgar and let him do all dps. Do time volleyball, return to khadgar. He'll aoe down the little ads that come up. Phase 2 move behind rock on right side (approximately 9pm). From here I could heal the 'tank' elemental and khadgar without any issues. Note: With Tanaan Jungle quests, getting the roughly 5000 apexis crystals took no time at all. I simply completed the opening quests for my shipyard and TJ outpost. After that, I needed to complete one of the quests from the table, like Throne in a group as healer. Do this a few more times, I can complete the 25 abrogator stone quest. This just in... Hozen to be playable race..